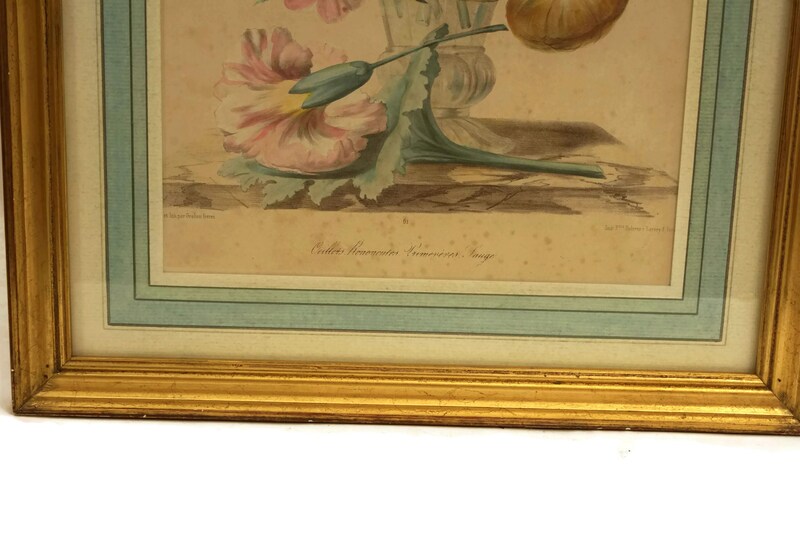 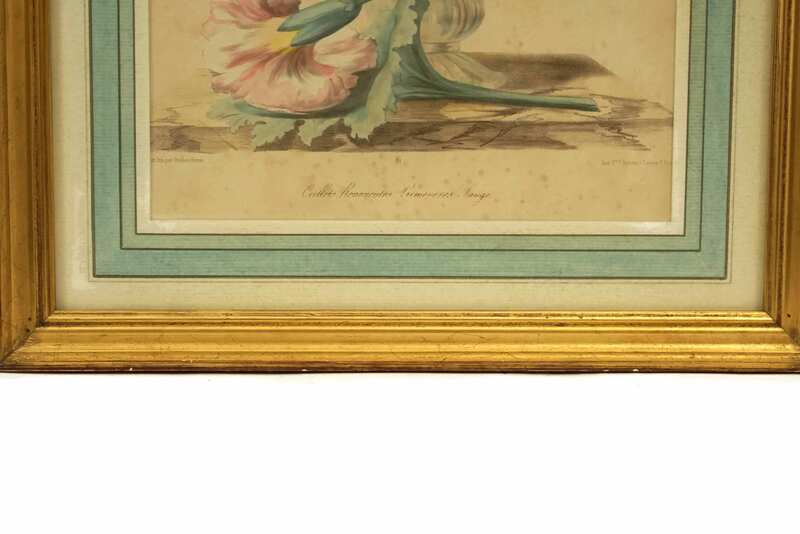 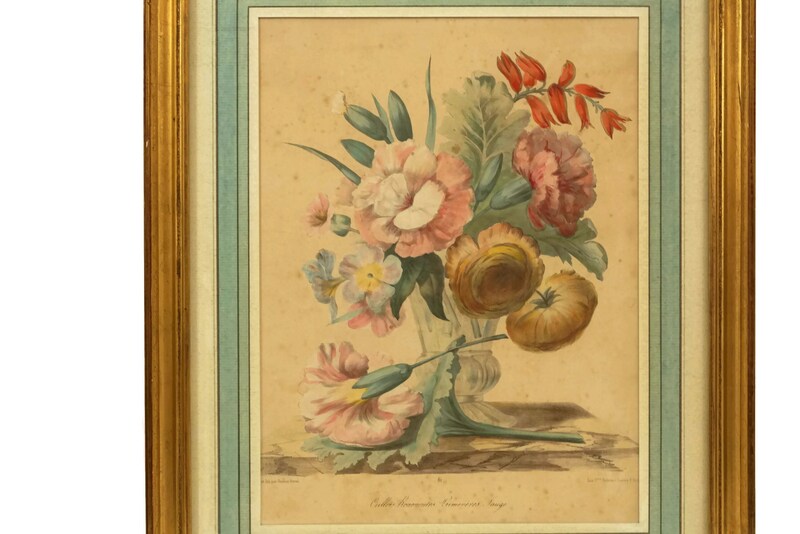 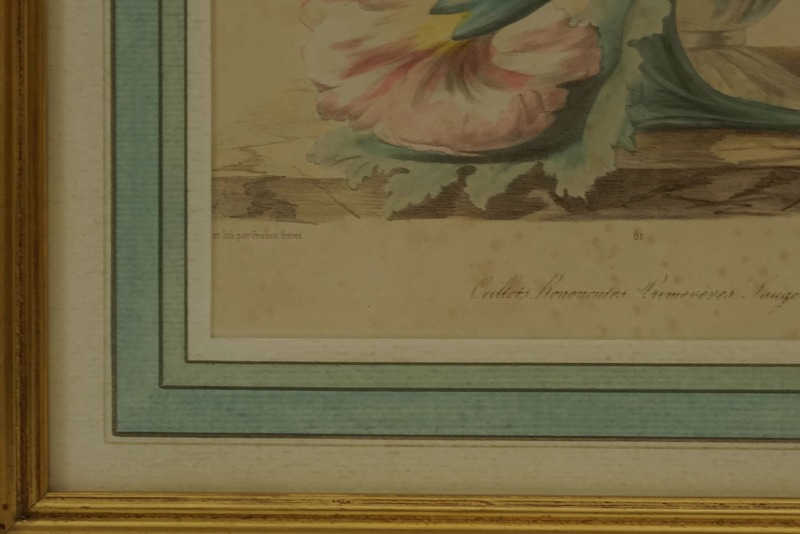 An exquisite antique flower engraving dating to the early 1800's. 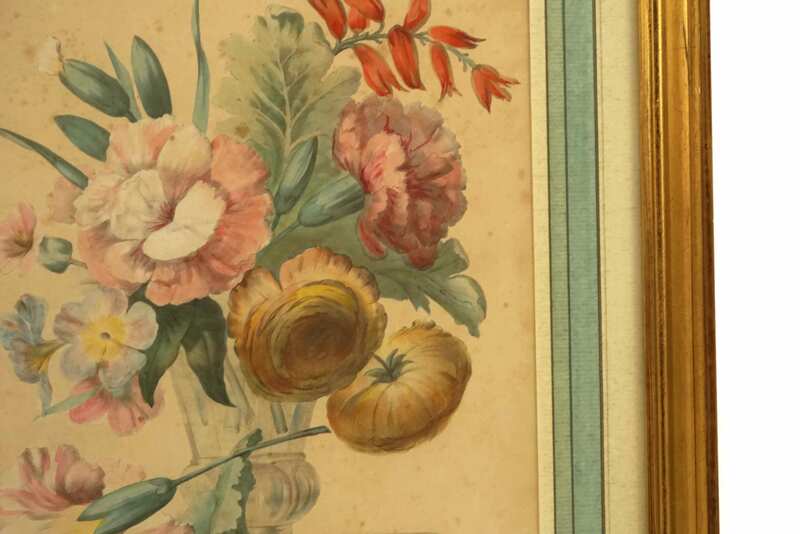 The art print features a beautiful floral bouquet still life and has been titled in French "Carnations, Renoncules, Primroses, Sage". 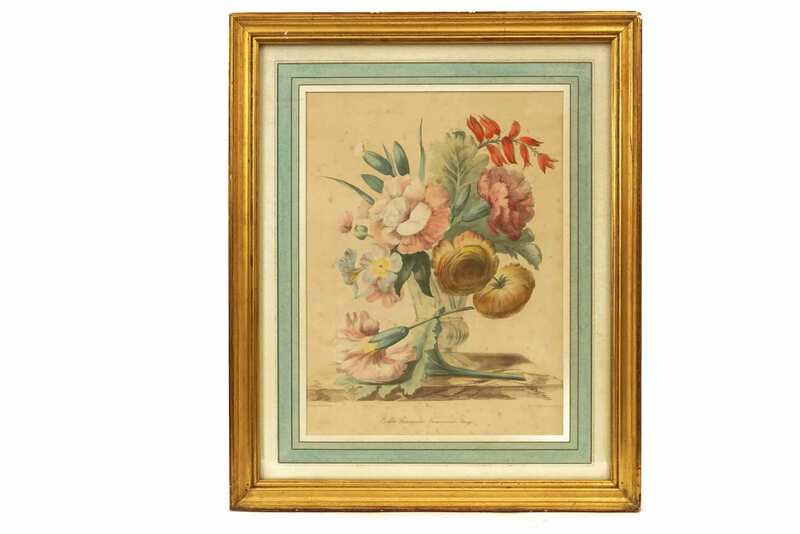 The engraving has been beautifully hand coloured and features a hand tinted mounting mat. 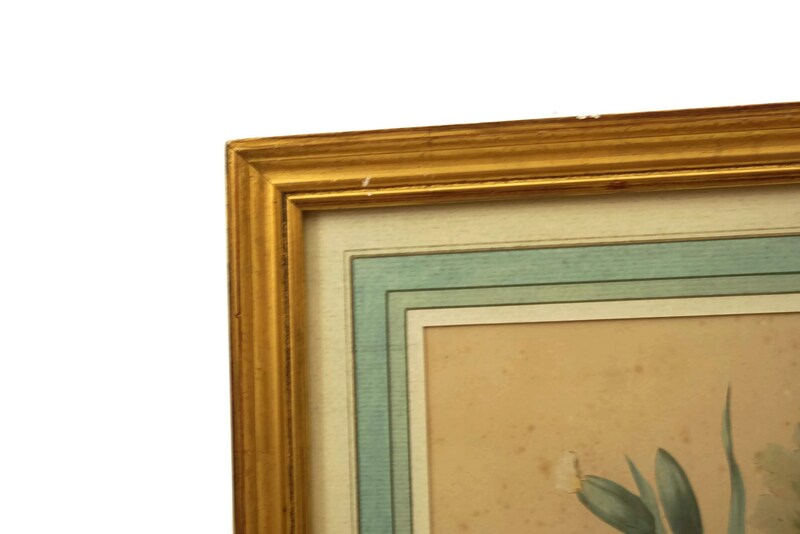 It has been framed under glass in an antique gold leaf wooden frame. 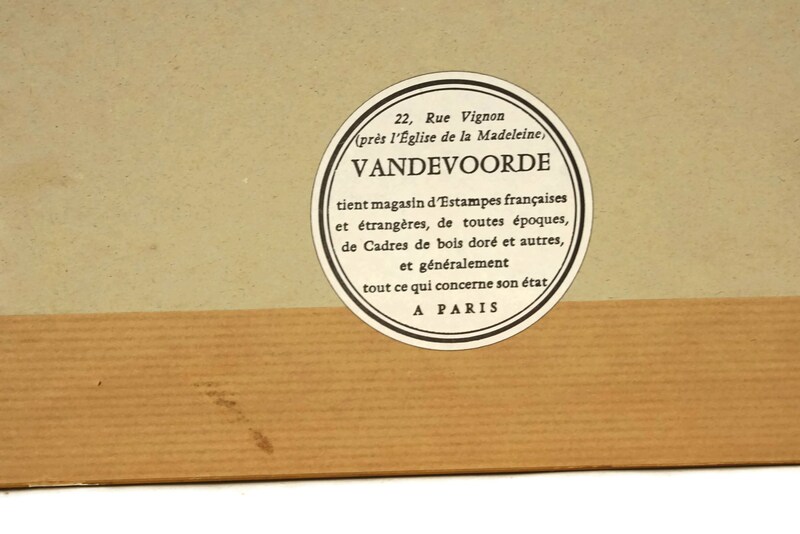 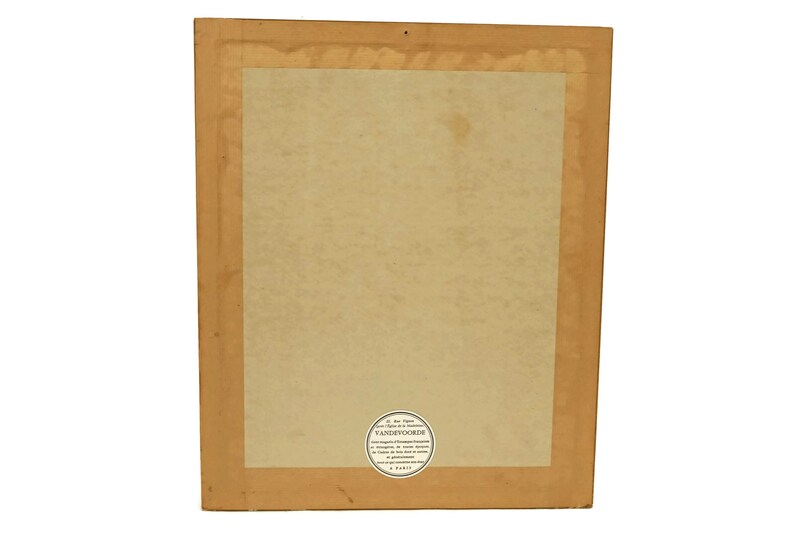 The print and was created by the renowned Grobon Freres In Paris and printed by Delarue. 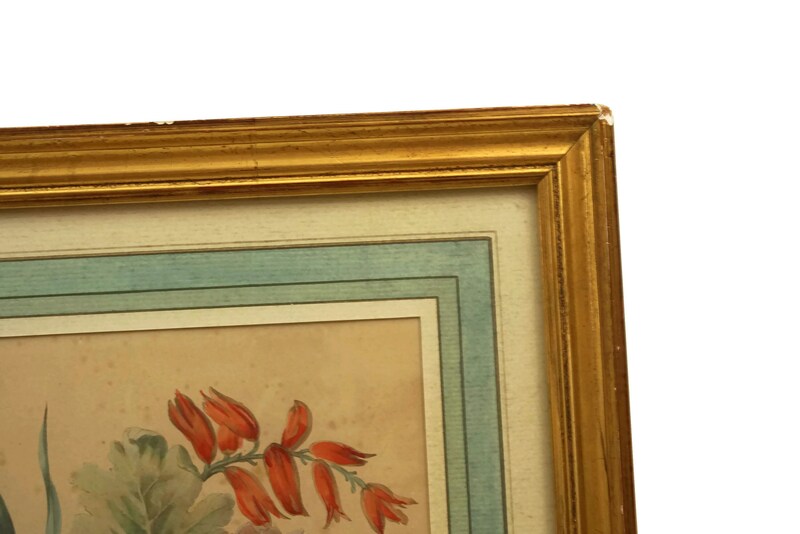 It has been numbered 61.